Learn what you need to know before starting your construction project. 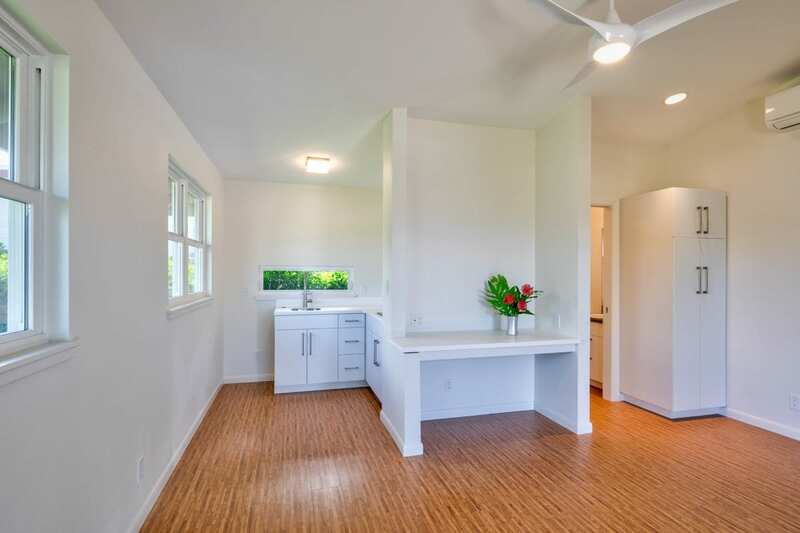 The homeowners of this residence are finally able to return to Hawaii following their mainland careers. The original home that sat on the family property was built decades earlier and it showed its age. The couple decided it made good sense to start over and rebuild a residence that would support them for the rest of their lives. 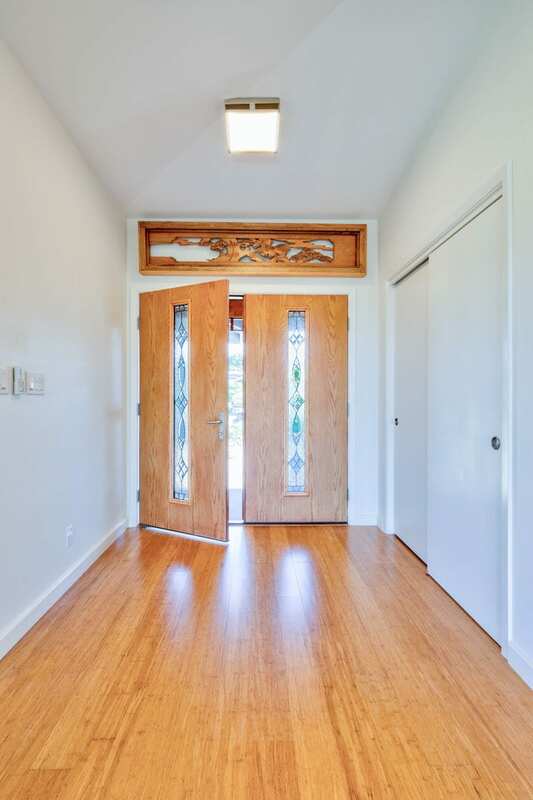 The entry welcomes visitors with broad double doors. 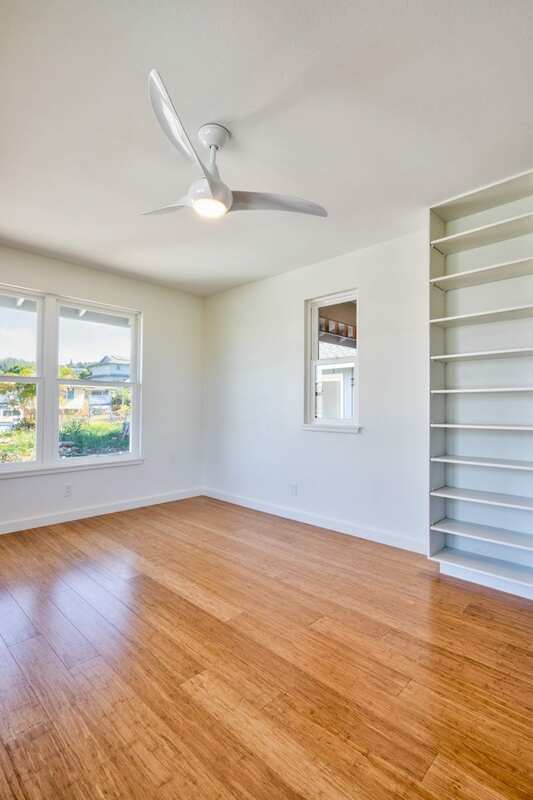 Light floods the living area and bounces off of gleaming laminate floors. 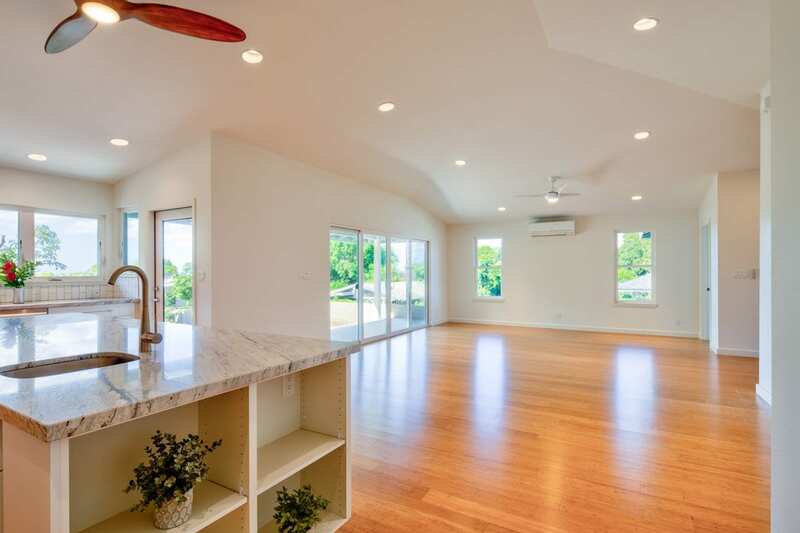 Vaulted ceilings, customary to Graham Builders’ homes, gives a grand impression to this already spacious residence. Universal design principles, ideals that make a space friendly to people of all physical abilities, are evident so the home will continue to be a sanctuary to its residents as they age. Custom touches lend a warm feel throughout this home. A Japanese screen transplanted from the original dwelling honors the family’s past. There are several built-in features like a book case at the end of the kitchen island, a desk in the recreation room and a wall of shelves in the study. All add to the home’s character and will spare the need for extra space-hogging furniture. Graham Builders is a true design+build firm with architectural designers, estimators and construction managers on staff. Each employee is dedicated to collaborating with homeowners so they are able to achieve their visions while remaining within budget. 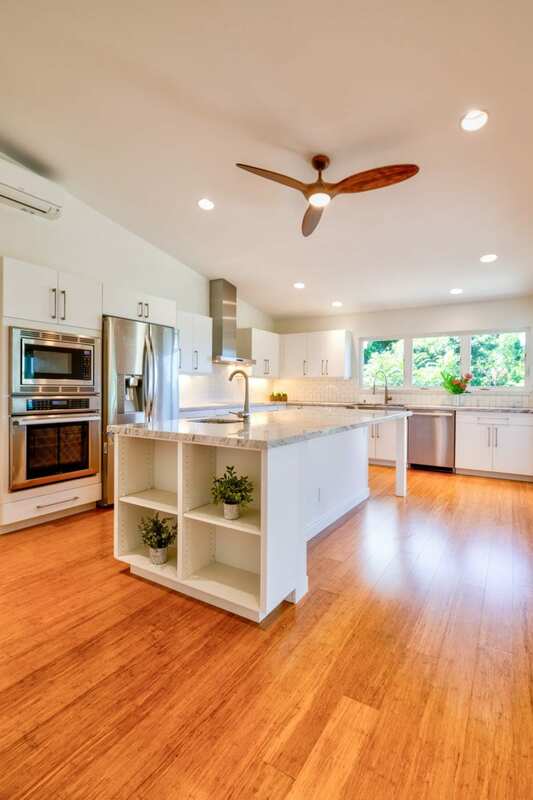 Graham is the first contractor in Hawaii to have a National Association of Home Builder’s Certified Aging in Place Specialist (CAPS) on staff and has helped hundreds of homeowners to design and build their dream home. Connect with us today and find out how Graham Builders can help you prepare your home for whatever your future holds. Photos by Hawkin Biggins Photography. Welcome to this new ground-up residence! The Japanese screen above the door was salvaged from the former home and mounted above the front door as a way to honor the past. The great room connects the office, kitchen, lanai and bedrooms. 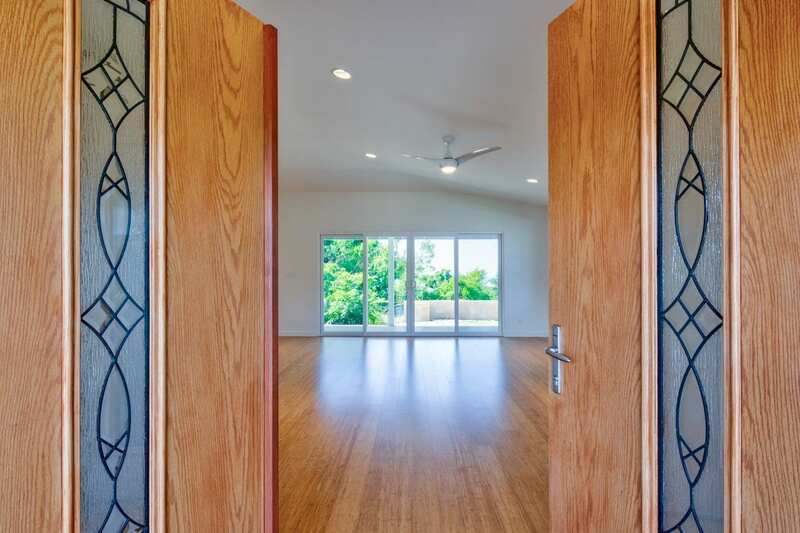 Sliding glass doors and a separate kitchen door offer multiple ways to access the lanai. The flow between the living spaces invite interaction. 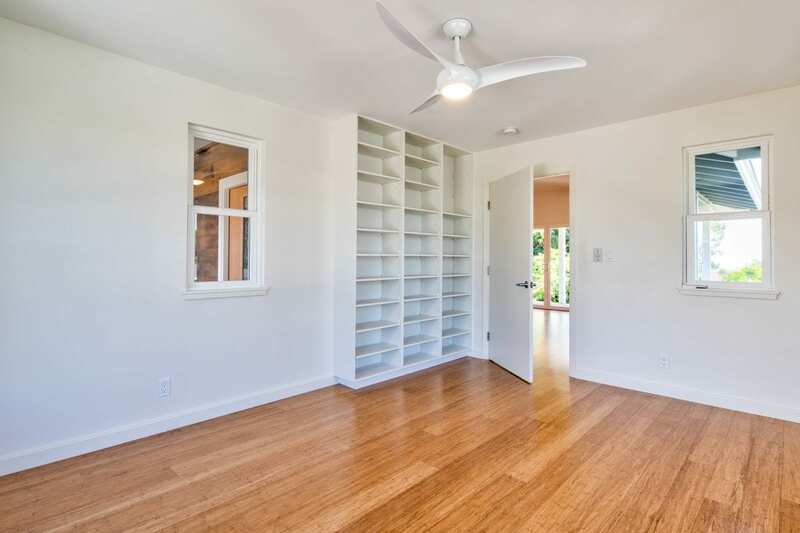 A built in display/bookcase is one of the custom touches that adds to the warmth of this newly built residence. 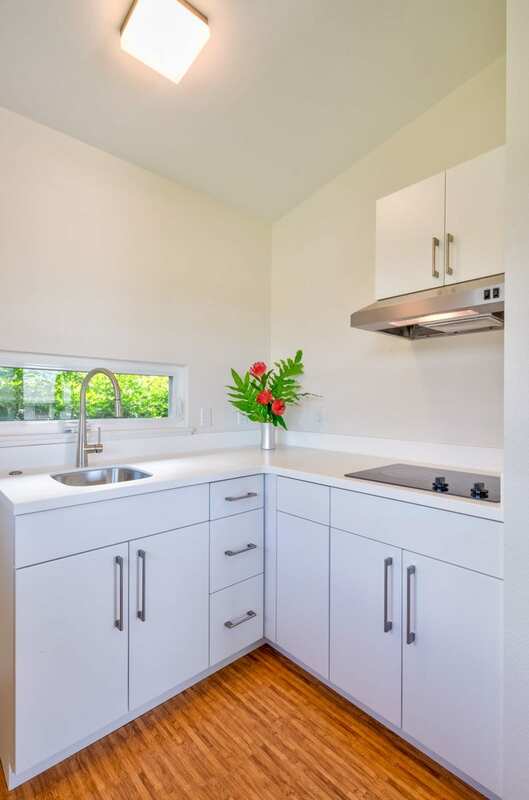 The island features its own food-prep sink and is perfectly situated for cooking, baking and chatting with family and guests. 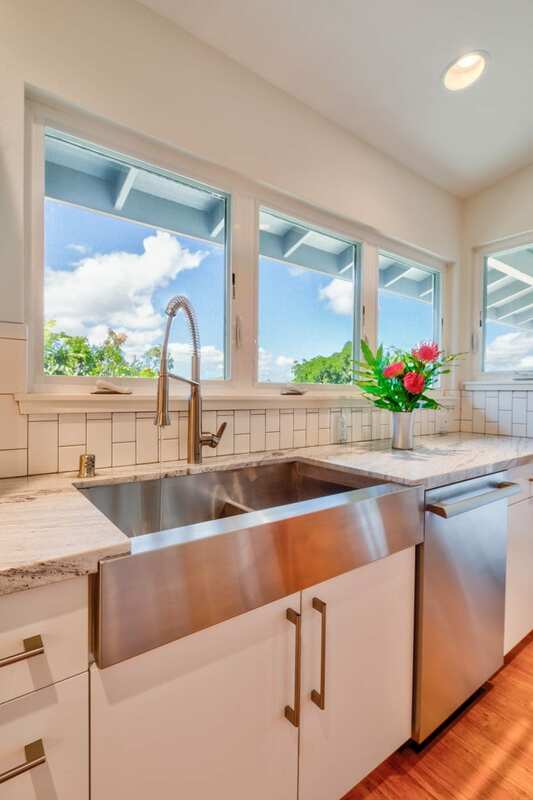 This under-mounted, apron-front sink facing the window with its high arc goose neck faucet makes food prep and cleanup a pleasure. 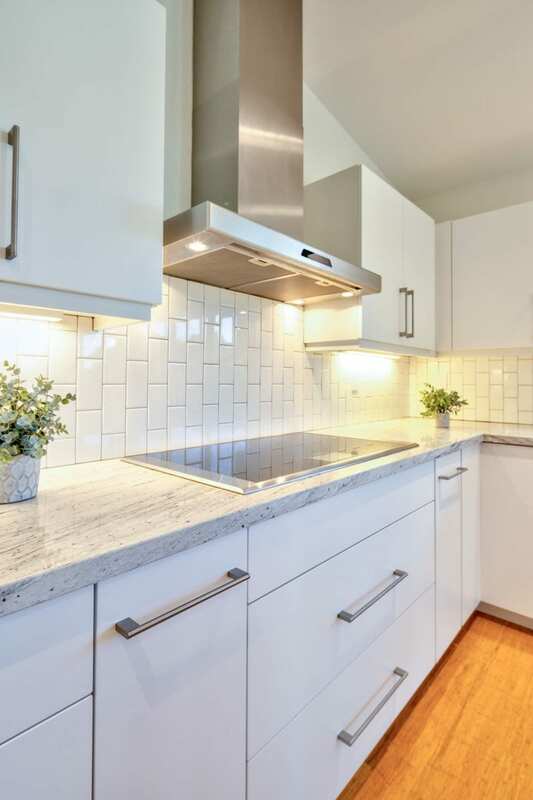 Broad counters will provide the cook with lots of space for food prep and equipment. Custom built-in shelves and broad windows make this office pleasant to work in. The office is right off the foyer and great room. 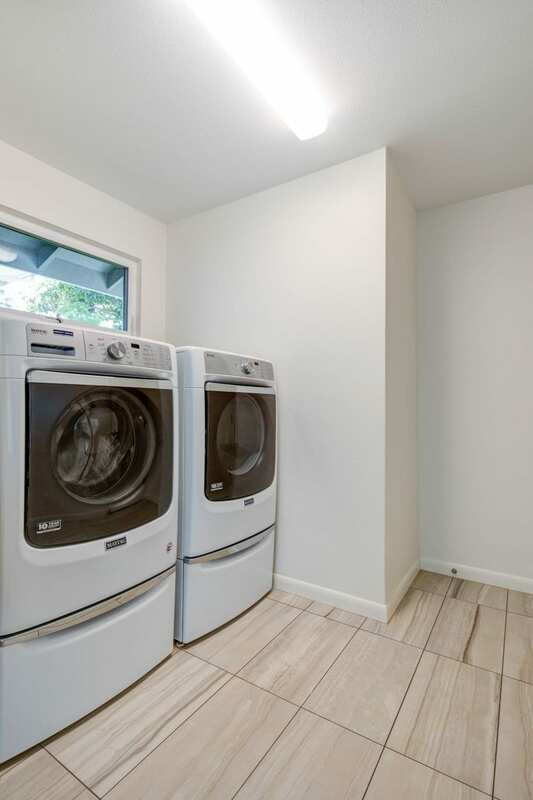 There is ample space, light and ventilation in the laundry room. 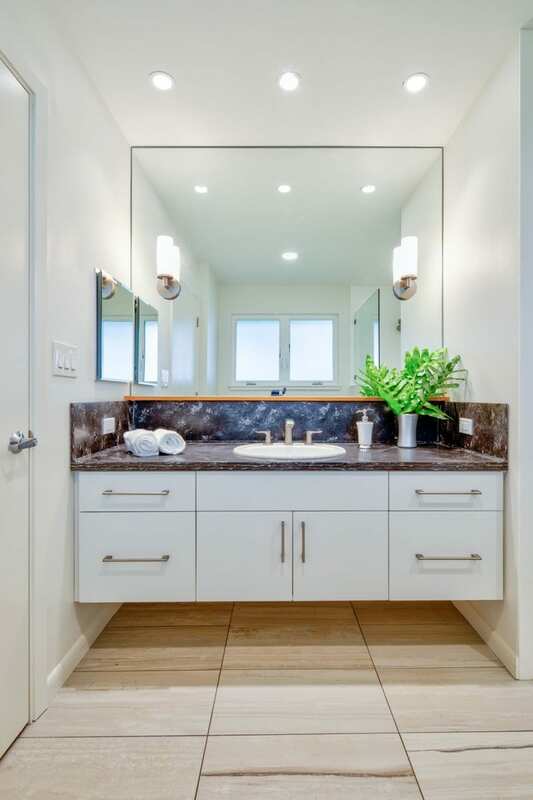 The floating vanity contributes to a minimalist look in this bathroom. 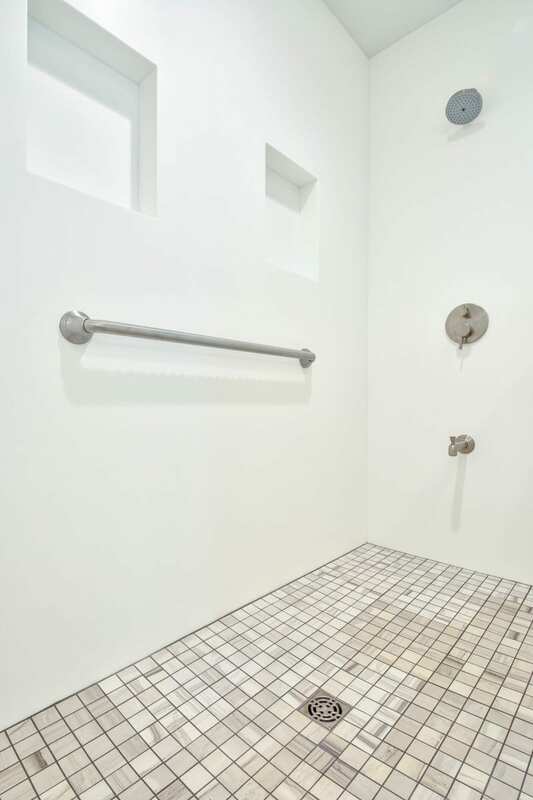 The zero-step shower is part of the homeowners’ plan to live-in-place. 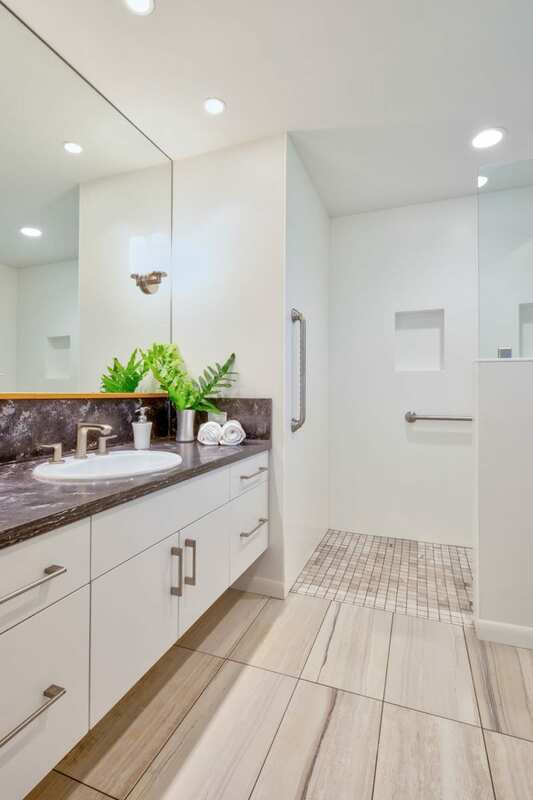 Attractive grab bars provide safety and the built-in shower niches keep the floor clear of bottles and other trip hazards. 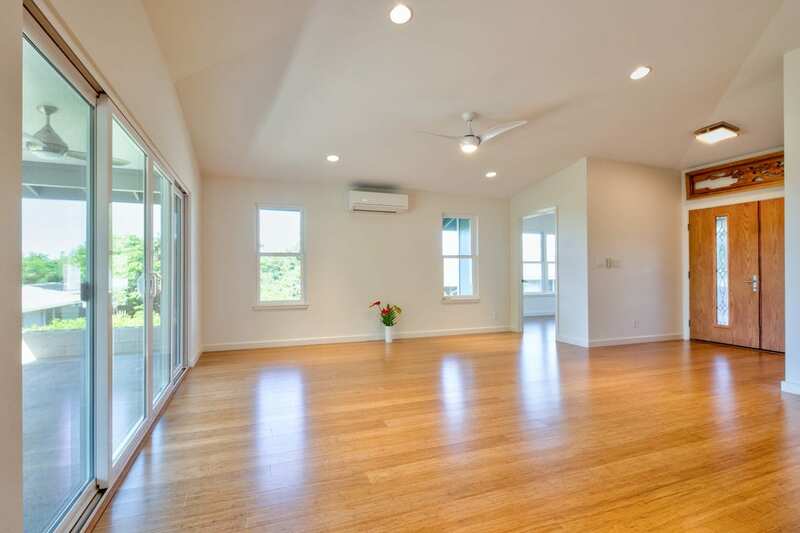 This rec room provides the homeowner with the perfect place for a ping-pong table or other active games. 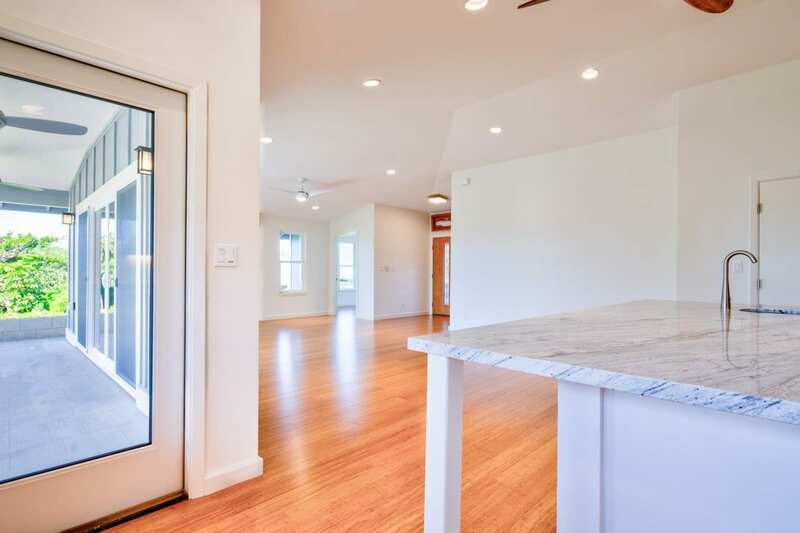 A wet bar in the rec room allows the family to whip up popcorn or other yummy snacks. 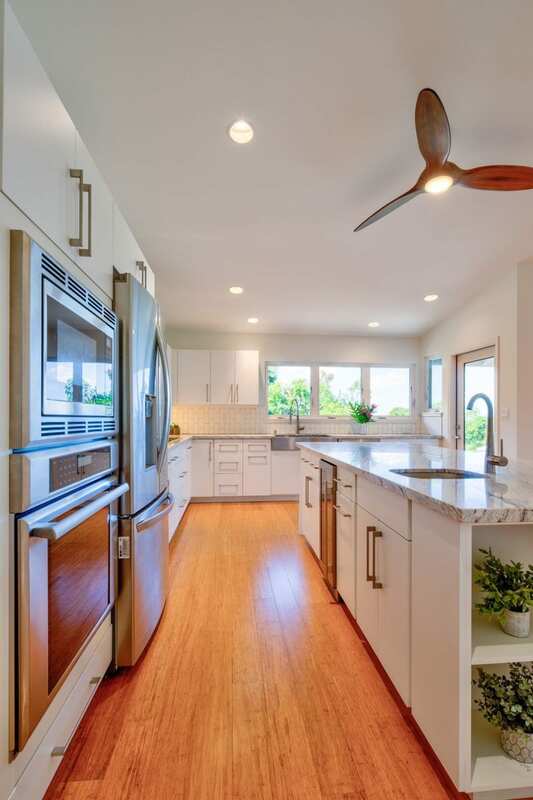 Graham Builders is Oahu’s design+build leader in residential custom homes, specializing in multigenerational, extended-family, aging-in-place and single-family residences. 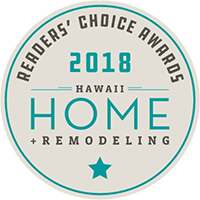 Established in 1990, our local design+build firm is the proud recipient of Hawaii Home+Remodeling Magazine’s 2018 People’s Choice Award for Multigenerational Home Builder. Thank you for voting us as your favorite Multi-generational Home Builder!